But Bumblebee surprised me. It did this by giving us a cast of human characters I didn’t hate being around. During the Witwicky years, there was always this sense of never enough focus on the Transformers, mainly because the human characters were unbearable. The cringe humour so prevalent in the first few Bay movie, and it was a huge turn off for me, listening to old people talk about erections, getting high or justifying why they could date a 16 year old that the camera leered excessively at made these movie painful to sit through. 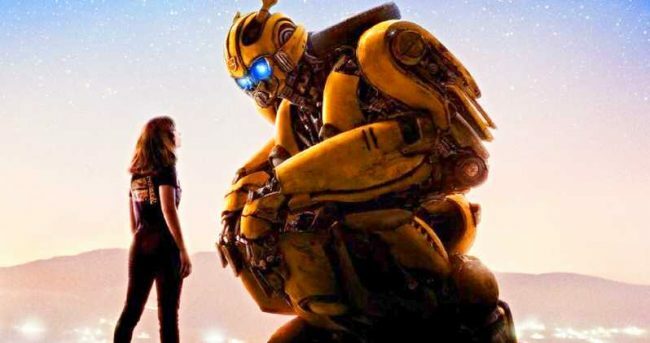 In Bumblebee, I really liked watching Hailee Steinfeld on screen. She was relatable, and likeable. She made a way better outsider than Shia, plus, despite the fact that she states she is 18 in the movie, it still treats her like a kid. Which she is. Even her goofy, adolescent romance with Jorge Lendeborg Jr’s character well played out and felt natural. Waaay more natural than the types of women coked up Witwicky was able to get with. First: The movie is incredibly earnest. It’s genuine and really lacks any of the cynicism that riddled the other movies. Part of this comes from the fact that the movie is an 80s throwback in more ways than one. Aside from the setting, the plot and beats of the movie plays out like one of the favourite 80s classics. Charlie (Steinfeld)’s arc over dealing with the death of her father ends up playing out in a pretty cheesy way, but I forgive it because that how people did things in movies in the 80s. Second reason it works so well is because it is a thousand percent more faithful to the source material than the Bay movies ever were. 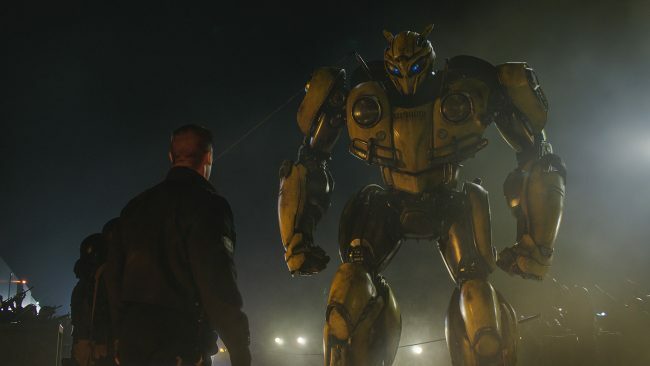 Aside from Bumblebee himself, who retains much of his redesign for the live action movies, all of the other transformers in the movie look like they were lifted right out of the decade they were first put on paper. In the case of this movie, less is defiantly more. Outside of the opening scene on Cybertron, which is a positive cornucopia of Easter eggs and lovingly faithful renditions of Autobots and Decepticons that were mangled up and tossed aside in their redesigns and unceremonious deaths in the 5 bay movies that came before, There are only really four major transformer characters in the movie, two Autobots and two Decepticons. It means the movie can focus less on shoving as much high action in as it can and has more time to develop and grow its characters. While Bumblebee is the only robot that gets any time for development, he doesn’t actually go through much of a change. It’s part and parcel of him being a character from an established franchise though I suppose. He loses his memory and eventually becomes the giant R2-D2 stand-in, we don’t really get much of a chance to learn his character before he loses his voice. This movie is more Charlie’s story, and I was shocked to find that I didn’t mind it at all. I can only see so many giant robots fight one another before my eyes glaze over, and the action in this movie is diverse and sparing enough that it doesn’t grate one me. And boy was I shocked when I could actually following what was going on. No giant mechanical worms, no skyscrapers smashing into one another, no huge masses of whirring machinery shaped like dinosaurs. Just a big yellow robot fighting a big differently coloured robot. It was perfect. 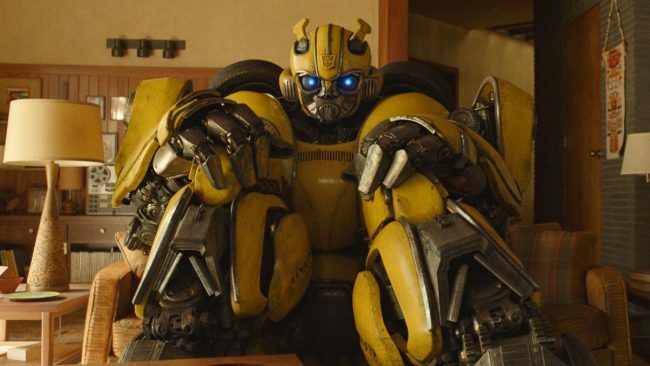 I really enjoyed my time with Bumblebee, something I was not expecting. And off the back of it, Paramount HAVE to treat this like a reboot. It keeps itself very open in terms of events to keep the movie within continuity. But I say to hell with them. Let us start afresh and get as far away from the Bayformers as possible. There is some factor of this being a perfect tempest of nostalgia, for the 80s, for the G1 Transformers, and for a simpler time in movies. This is still a bombastic, CGI filled blockbuster movie though, the main difference is that it (comparatively) feels like a much smaller story. One that gives us characters and focuses on them instead of pure action spectacle that can’t ease of the breaks. which comes off as a lack of respect for audiences to be honest. This kind of approach is 100% what we need out of these franchises. Because as faithful and packed with references as they can be, they’ve still got to be a good human story. 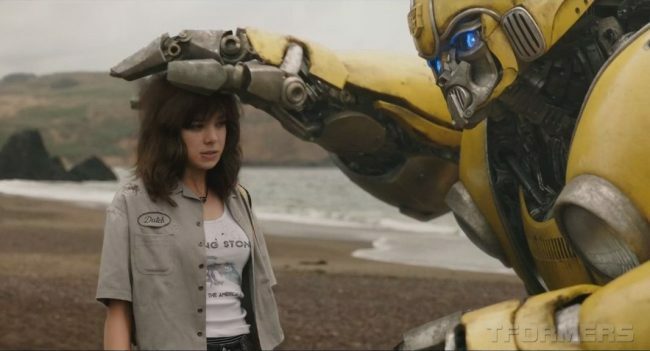 And the human story is, ironically, the one that makes Bumblebee so good. 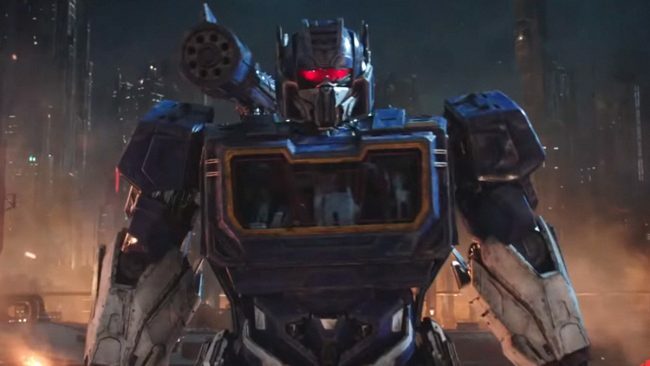 Posted on January 14, 2019 January 14, 2019 by WooderonPosted in Movies, My Thoughts on:Tagged autobots, bumblebee, decepticons, Hailee Steinfeld, john cena, movie, retro, transformers. I was thinking about going to see this. It’s not doing very well at the box office but that means nothing nowadays. I don’t tend to look into box office and stuff that often, but to hear that just makes me sad. The Bay movies all sold real well and they were terrible. Then the good one underperforms.